Reiki Topics & Techniques – Facebook Live! Reiki Currents – Facebook LIVE! UniverSoul Heart Radio- Transformation Talk Radio! Holy Fire Reiki III is here! 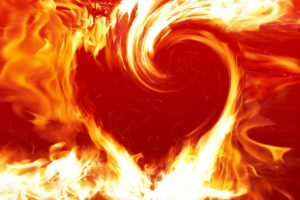 This upgrade in the Holy Fire energy helps us to complete our life purpose, become our authentic selves, and experience higher levels of consciousness. All Reiki classes are now taught in the Usui/Holy Fire III system. This is the new evolution of Reiki, and is a deeply healing blend of traditional Usui Reiki and Holy Fire Reiki, given to us by a higher consciousness to accelerate our healing and spiritual growth. Classes are offered throughout the year; private classes available by appointment – contact Kathleen. You will receive a solid foundation in the gentle healing modality of Reiki. You will be attuned to Reiki’s loving energy, which gives you the ability to channel it for the benefit of yourself and others. You will learn how to use this gift to spread healing in the world, simply by allowing its energy to flow through you as a conduit of the divine. Massage Therapists earn 8.5 CEs with this class. You will learn, and be attuned to, the Level Two Reiki symbols, which are powerful allies on the Reiki path. They unlock higher levels of healing and provide additional healing techniques. The Level Two attunement further refines and strengthens the Reiki energy, and when used in conjunction with the symbols, enhances and amplifies the benefits of Reiki healing. The Level Two training focuses on the symbols,with ample practice time included in the class. Reiki is multi-faceted and provides many benefits, not the least of which is a path of personal spiritual development. Those who realize this and accept Reiki as a life path often have a sincere desire to pursue Advanced Reiki Training (ART) and become a Master Practitioner. The decision to elevate one’s Reiki training is a responsibility and a sacred gift. In this class, you will learn advanced healing techniques, and receive the attunement for the Usui Master Symbol. This elevates the student’s vibrational level to one which allows a perspective of unconditional love and compassion. The ART/Master Training combines both Advanced Reiki Training (ART) and the complete Usui/Holy Fire III Reiki Master training into a 3-day class, taught over a 3-day weekend. Prerequisites: Reiki I and II with a minimum of 6 months at Reiki Level II. Also, the student must have the ability to draw the 3 Reiki II symbols from memory. In the process of learning the healing techniques and placements, and taking part in the guided meditations, each student will receive many personal healing experiences. Usui/Holy Fire II Reiki training is available for anyone interested in learning this healing modality for themselves, their friends and loved ones, or as a potential career path. It is beautifully simple and can be easily learned during a day or weekend class. The Reiki training is available to all; no special skills or knowledge are required to learn this gentle healing method. Group classes are scheduled at various times throughout the year. Private and semi-private classes are also available by appointment. If you, or someone you know, is interested in learning more about Reiki training opportunities, please contact us.